There are things that are seen, and things that are not seen. It is important to see with your eyes — thank God for them — but it is even more important to see with your spirit. That is, to see the deep things of God which are revealed to us by His Spirit. Everything you see with your physical eyes is only temporary. Only that which cannot be seen will endure. How much better to set your focus on that which will last than on that which will not, to walk by faith, not by sight. The things which are not seen are evidenced by faith. Faith is the substance, the underlying reality, of things not seen but which we fully expect to see. Though these things are not seen, they are made evident to our spirit by faith. The things which are not seen frame the visible world. God is invisible. He is Spirit, and it is by His Words, words of His Spirit, that all things were created. To see only with physical eyes is to deal only with effects. To get down to cause and origin and source, you must learn to see in the spiritual realm, to understand by faith. The things which are not seen must finally be reckoned with. Had Noah not paid attention to that which is unseen, he would not have prepared an ark, and we would not be here today. The things which are not seen give us the proper understanding of reality. The Old Testament saints had many wonderful promises from God. They did not experience them in the natural, but saw them “afar off” in the spirit. Their hearts were thus properly oriented to the reality that their lives were firmly rooted in things not seen. 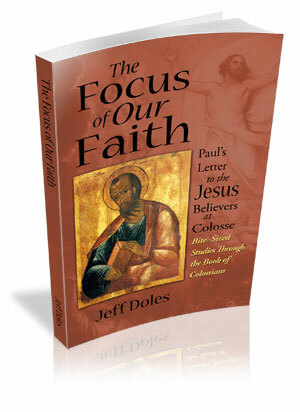 By their faith, properly focused on things not seen, they brought forth the promised fulfillment which came after them. The things which are not seen require the perseverance of hope. 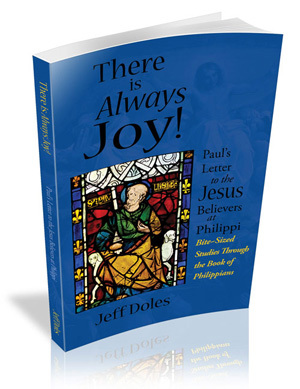 In the Bible, hope is a positive anticipation, a joyful expectation that everything God has said will come to pass. It is not seeing with the eyes, but seeing with the heart, seeing in the spirit. Everyone who has received the Lord Jesus Christ is a beneficiary of the firstfruits of the Holy Spirit. Though we have not yet seen all that God has promised, the Holy Spirit is the guarantee within us that it will all be fulfilled. It is this eager anticipation that causes us to persevere. For what is not now seen will one day be fully revealed. The things which are not seen are revealed by faith in Jesus Christ. No one has seen the Father except the Son, but if you have seen the Son, you have seen the Father. Though we do not now see Jesus Christ in the flesh, we are able to see Him, by faith, in the spirit. And seeing Him by faith, we see the Father. The things which are not seen with our natural eyes are revealed to us in the spirit. Faith is the evidence.